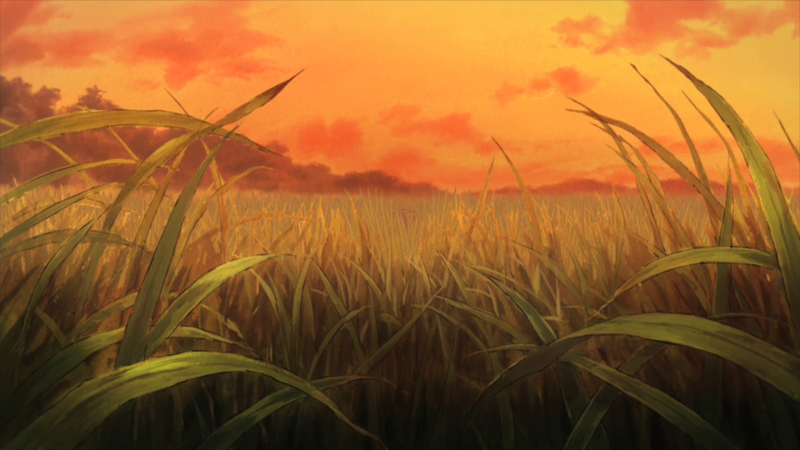 Apparently Flip Flappers’ landscapes can look wonderful even if the protagonists stay trapped within the real universe. 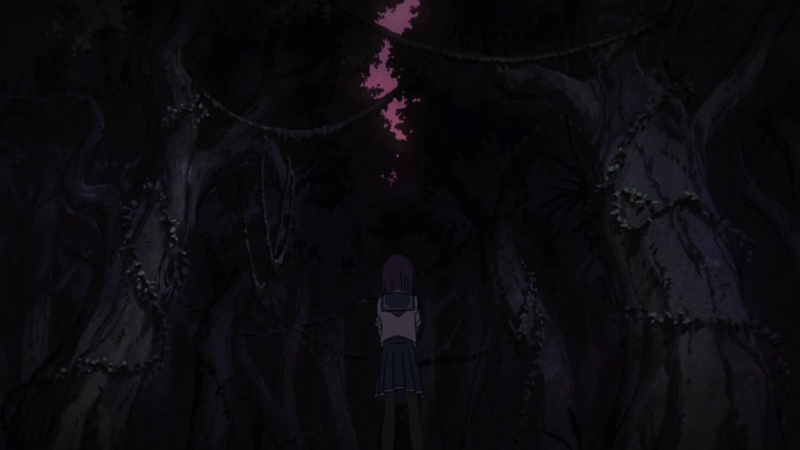 As I’ve been repeating since the show started, Flip Flappers’ animation highlights have a tendency to happen in Pure Illusion, while the real world visuals are carried by the backgrounds and overall design flourish. It seems only natural that after last week’s sakuga filled outing that took place entirely in Pure Illusion, it was time for a breather episode in the real world. 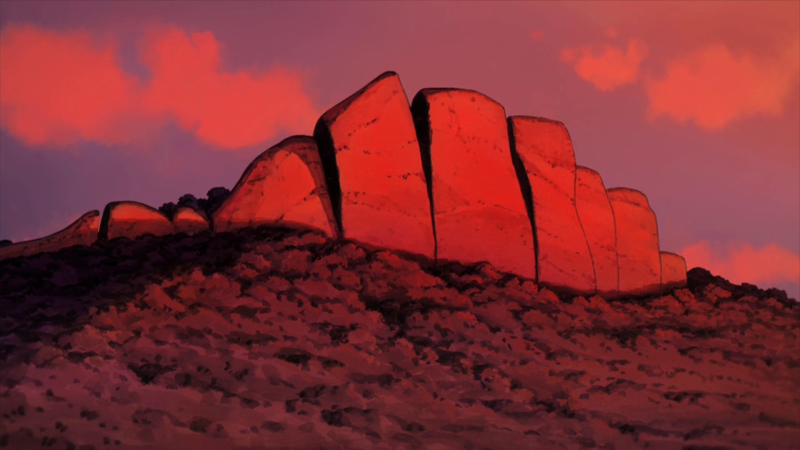 And as you’d expect, yes, the visuals were indeed carried by the gorgeous backgrounds and design sensibilities! Papika and Cocona are ordered to spend more time together to get closer, which also means it was time for the audience to become more invested in them as the protagonist duo – I’m not sure I buy their relationship all that much yet, but it was cute nonetheless. After spending some time at school and in Papika’s extravagant shelter, they set out for a journey to an uninhabited island as a part of their bonding/training. As far as real world locations go, a virgin landmass is a concept that opens up to variety of extravagant design ideas, and studio Pablo already have some experience with this kind of setting. In the end the island turned out to be rather tame one compared to what we’re used to seeing in this show, but was still pleasing to look at and provided us with some absorbing shots. 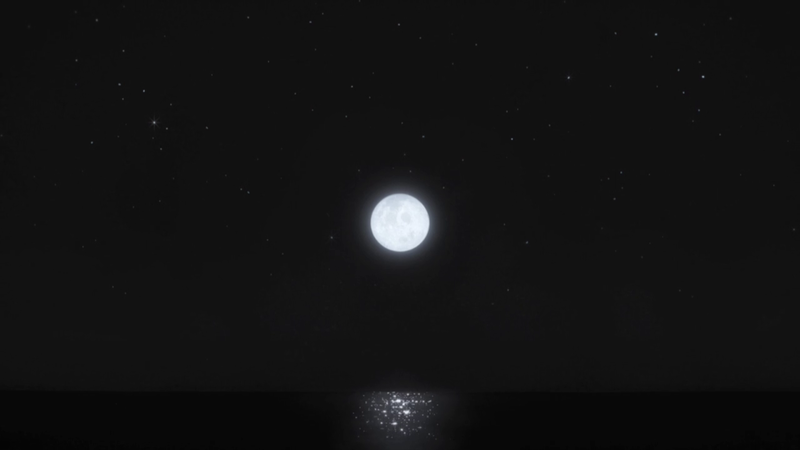 I wish every night-time shot in anime was as beautiful in its simplicity as this one. This week’s staff list gives me an opportunity to talk about Studio 3Hz and their origin. Let’s start where it all began – with production manager Muneki Ogasawara leaving studio BONES. After spending a year doing production tasks at Khara, him and Bandai Visual producer Yuichiro Matsuka decided to start their own animation production company called Kinema Citrus in 2008. Kinema Citrus’ first projects were coproductions with BONES, but soon after those they started producing their own projects – a good example would be their first legitimate TV anime Code:Breaker. Things however didn’t last long, and Matsuka left Kinema Citrus in 2013 to start his own company: Studio 3Hz. 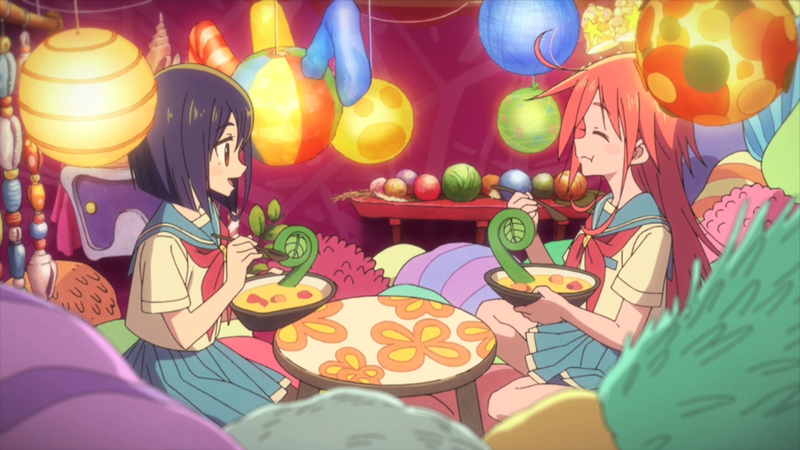 Their first project Celestial Method carried over a fair amount of talent from Kinema Citrus; the main staff of the show included director Masayuki Sakoi and character designer Yukie Akiya, both of whom heavily involved in Code:Breaker – and now 2 years later involved with Flip Flappers! Looking back, Kiyotaka Oshiyama worked as key animator on the final episode of Celestial Method. Maybe we could have taken it as a hint of things that were to come? Other ex-Kinema Citrus staff that worked on this episode were Tokyo Magnitude 8.0 director Masaki Tachibana and character designer Atsuko Nozaki. It’s always fun looking deeper into the credits and trying to find connections. In this case, Matsuka assembled acquaintances that he has met throughout his career as an animation producer, so it was super easy to unravel the mystery! Episode four wasn’t particularly loaded with pure animation highlights. It seems like the key animation credits were arranged in order of appearance this time around. Takashi Kojima animated Papika and Cocona flying towards the island on a hoverboard. 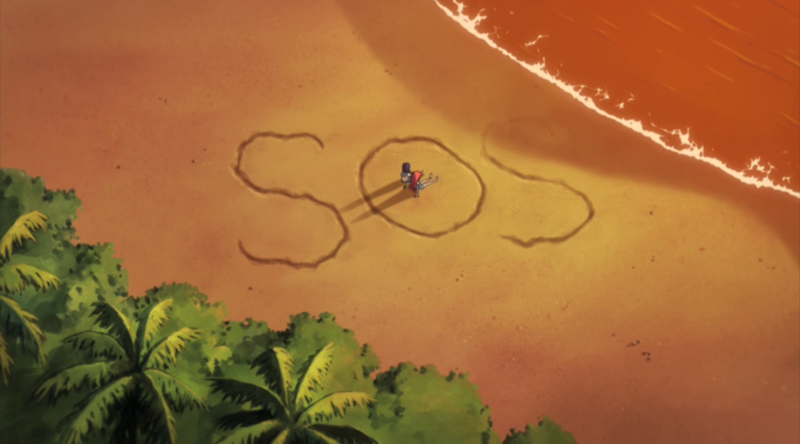 It was either Katsunori Shibata or the recurring Katsuhiko Kitada who animated the girls pushing raft into the sea. The lively but perhaps too chromatically aggressive final scene with the girls entering Pure Illusion was animated by Akira Hamaguchi. Now if only Oshiyama could stop being so horny.